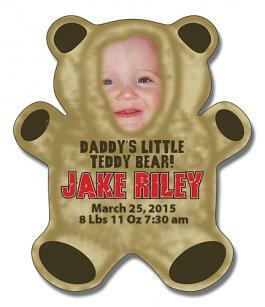 4x4.625 Promotional Logo Teddy Bear Shaped Announcement Magnets 25 Mil is ideal for announcing births, greetings and wishes. The biggest advantage with these custom announcement magnets is their special appearance that will ensure that no one will forget about the event once they are gifted with these pleasant magnets. Store inaugurations and product launch events can also be promoted using these magnets. Order these printable magnets at the earliest and gain free digital proofs, free full-color printing, free digital design assistance and also free shipping offers. 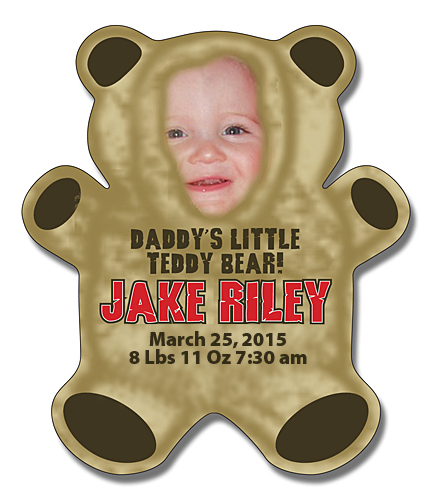 Request a quote now to get amazing discounts on wholesale 4x4.625 Promotional Logo Teddy Bear Shaped Announcement Magnets 25 Mil.